THANKS FOR JOINING US AT THE 2019 SYMPOSIUM! Thanks to our Speakers, Sponsors, Partners and Attendees! 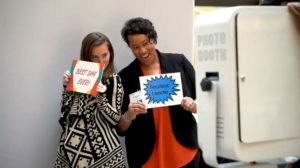 The Symposium gets better and better every year….check out the 2019 Symposium video as you get ready for next year’s Symposium. Click this image below to view the video! Get ready to Connect. Engage. Lead. at the 2020 Philly SHRM Symposium! 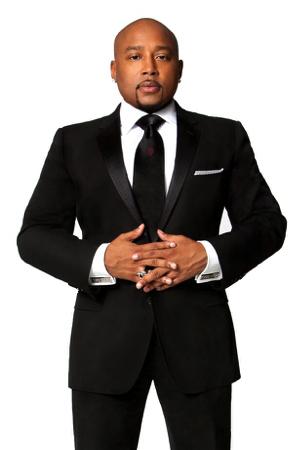 2019 Symposium Keynote Speaker…..Daymond John! Daymond initially made his mark as the entrepreneur and branding expert behind the groundbreaking lifestyle brand, FUBU, which has eclipsed more than $6 billion in global retail sales. From the streets of Hollis, Queens, Daymond started a global movement from the basement of his mother’s house by capitalizing on the then fledgling hip-hop culture. FUBU was a key development for the streetwear market, which today is a $20 billion industry. You do not want to miss Daymond’s keynote at the 2019 Symposium! Stay tuned for more information on the 2020 Symposium! There are several tiers of sponsorship opportunities to help support the event and promote your organization. For more information on becoming a sponsor, contact Laura DiTrapano, Event Management Team, Seamless Events, Inc. at info@pshrmsymposium.com or 610-891-2761 . STAY UPDATED ON THE 2019 SYMPOSIUM! 2019 Symposium Registration is open!! Valet parking is available. Standard valet rates ($44/day) still apply. Additional parking is available at Gateway Parking, located at 1540 Vine Street. Hotel rooms are available at the discount rate of $209 per night (plus taxes). Please call 1-800-325-3535 and mention Philly SHRM to get the discount rate. Rooms must be booked by Monday, February 18th for discounted rate.